You can contact us by using the contact form below. Please clearly state the subject-matter of your inquiry in your email title. If you have comments or suggestions on how to improve WorkBloom, please do not hesitate to share your thoughts. The purpose of your inquiry. Is it to contribute an article with a link back to your site or your client’s site? State this upfront, with the URL of the site. Please note that we do not accept paid links. Any articles submitted to WorkBloom must respect our writing guidelines. Further, we only accept unique articles, meaning that articles submitted to WorkBloom cannot be submitted or reproduced anywhere else. If you would like to become a regular contributor, please let us know why you are interested in writing for WorkBloom and share with us your background. 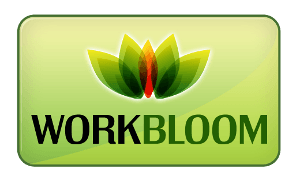 If you would like to advertise on WorkBloom, please provide the details of what you have in mind, including how you would like to advertise (sponsorship, PPC, etc.). If you would like to partner with us, please provide the details of what you propose.